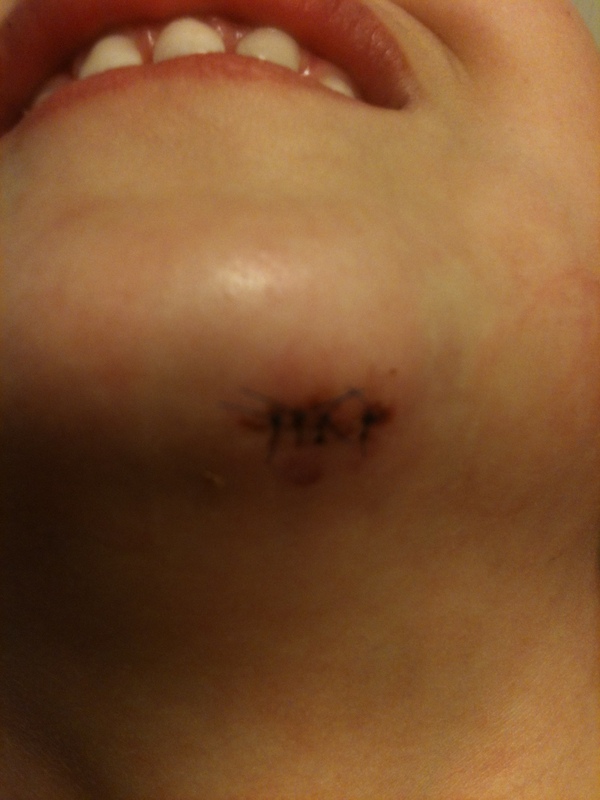 This entry was posted in Antics and Adventures and tagged bouncy kids, emergency room visits, ER visits, eye doctors, pediatricians, stitches by melissa.scholes.young. Bookmark the permalink. I so enjoy the antics of Piper. I just had to tell you that we had a similar situation with our son John regarding the stitches. He fell skating at Skate Inn East and opened up the skin right under his chin, resulting in a nice row of stitches. The nurse in the ER was one of our wonderful Lincoln parent volunteers, Jeanette. A few weeks later John flew over the handle bars of his bike as he raced down a hill, opening his chin again. Back to the ER. Jeanette greeted us again. She told me that it was a good thing that she knew me and that she knew that I was a good parent. She informed me that bringing a child into the ER with injuries twice in such a short period usually resulted in a call to DCF! Remind me to tell you the time I fell chin-first while getting out of a Jeep… you can’t see my scar! Scars are cool. They make good stories. Piper may appreciate hers one day. If not, I’ll send her to you for counseling.